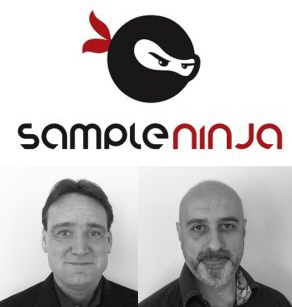 In London, MR software industry veteran Tariq Mirza and Kinesis Survey Technologies co-founder Juha Vehnia have opened SampleNinja, a new company promising robust and scalable panel management software solutions, enhanced by AI. The new company has headquarters in Austin, TX and an office in London. Mirza, who will serve as CEO, has more than 26 years of experience in market research software sales and development with Quantime, SPSS, Voxco, Nebu, Intellex Dynamic Reporting, and latterly Kinesis where he was an owner and partner. Vehnia co-founded Kinesis in 2003 as CTO, and ran and grew it prior to its acquisition by FocusVision in 2016. The partners say the new firm will establish a 'new normal' for the sector, featuring fully automated sampling with 'advanced sample balancing' to avoid the need for constant adjustments as projects proceed. This will reduce costs and allow for targeting of hard-to-reach segments without waste, reducing churn and giving better ROI. The platform also promises automatic dynamic profiling, comprehensive sub-sampling from multiple sub-panels, and an (instant) sampling feasibility tool. Mirza says SampleNinja 'takes advantage of AI / Machine Learning workflow enhancements and cutting edge scalable cloud technologies through a clean desktop-like interface', and adds: 'We are extremely proud to be offering SampleNinja software to a marketplace stifled by legacy software and overly manual processes in managing panels'. According to Vehnia, 'SampleNinja believes that next level Security is vital - we offer fully automated two factor authentication, machine fingerprinting and geo-location tracking of each panelists adding to the integrity of the overall panel and also intelligent use of Machine Learning to prevent further fraudulent or professional panelists - an area which has blighted the online panel industry for years'.